Provide comfort for the family of Beverly Kellett with a meaningful gesture of sympathy. Beverly Ann Kellett, 75, of Warren, Maine, passed away on April 8, 2019 at Central Maine Medical Center. Beverly was born on April 6, 1944, in Camden, Maine. She grew up in Camden, attended local schools and graduated from Camden High School. After high school she married Elmer Kellett on June 26, 1963 and settled in Warren and began their family. Beverly was a housekeeper at the Wayfarer and Windward Gardens and at various homes. She retired in 2012. She enjoyed snowmobiling, playing cards, especially Skip Bo, going to fairs, concerts and trips to Tennessee, Key West and Niagara Falls with her husband. Beverly enjoyed gardening, especially growing cucumbers in competition with others in the family. She also grew beautiful peonies. She had morning coffee with her son Roger, idolized her grandchildren and great grandchildren. Christmas was her favorite time of year, buying presents for everyone, she loved giving gifts. She was always shopping for a good deal. But most of all she was thankful for her family being so close to her. She was preceded in death by her husband, Elmer Kellett. 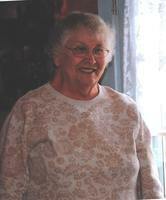 Beverly is survived by her daughter, Jackie Hogan and husband Warren of Waldoboro, son Roger Kellett and wife Kathy of Hope, son Adam Kellett of Warren, granddaughter Racheal Hendron and husband George of Waldoboro, grandson Eric Spofford of Skowhegan, great grandson Issac Hendron of Waldoboro and sister, Wilma Copeland of Rockland as well as many cousins. A funeral service will be held on Monday, April 15, 2019 at 1:00 p.m. at Hall’s of Waldoboro, 949 Main Street, in Waldoboro, Maine. Burial will be later in the spring at the Cushing Cemetery. In lieu of flowers, donations may be made in the name of Elmer and Beverly Kellett to Life Flight Foundation, P.O. Box 899, Camden, ME 04843. Provide comfort for the family of Beverly Ann Kellett by sending flowers. May the family of Beverly Ann Kellett please accept my sincere condolences hoping you find comfort in God's words at Acts 24:15 and Psalm 37:29.